Some superfruit drinks could do more damage than good. Anti-obesity campaigners point out that Cherrygood has as much sugar as a cola, about five teaspoons, 25.5g, in a 250ml serving of its regular juice. Cherrygood Plus, aimed at health stores, has an amazing 9 teaspoons of sugar. These facts make Cherrygood’s claim on its website that the drink “helped cure a child’s sleep problems” (because of an unspecified amount of melatonin in the cherries) particularly dubious. Despite doubts around the science the superfruits and spin-offs keep coming. 2013 saw the launch of a “supertree” – the supposedly healthy powder of the bark of the African baobab, which you mix into yoghourt or water to get “six times more vitamin C than oranges”. Meanwhile, Waitrose is pushing yuzu lemonade, from a Japanese citrus fruit. That has “three times as much vitamin C as lemons”. Sales are soaring of fibre and potassium-rich Goldenberries, a dried version of the Cape Gooseberry from South America. Predicted for success in 2014 is the Gac fruit, a spiky orange with a flesh that looks like raw meat, from Vietnam . Its lycopene – an antioxidant also found in tomatoes – is said to combat prostate and cancer. Also coming up is the Chilean Wineberry, a miniature blueberry from Patagonia, with “three to four times more antioxidants than Goji berries”, including more polyphenols than any food or drink yet discovered. Most of these fruits are sold dried, or in packaged juice form – transporting them fresh raises the costs, especially if the origin is the Andes or Japan. The nutrients will not be damaged if the drying is done carefully – but some of them, like cranberries, are sprayed with sugar as part of the drying process. Most of the juice versions of “superfruit” contain extra sugar in the form of concentrated apple or grape juice – which still allows them to claim “no added sugar”. Yet scientists like the specialist on children’s health and diet Professor Robert Lustig say that “natural” sweet fruit juice filtered – as it often is – to remove all the fruit’s fibre, may do damage to the kidneys and liver. Still it seems, that, eaten or drunk in moderation, none of the superfruits will do you any harm. Will they do you any good? To take just one promise all the superfruits make, the big Vitamin C dose – the simple fact is that there is there are no diseases prevalent in middle-class Britain that have anything to do with Vitamin C deficiency, Many food contain it, including bread and jam, because acids containing it are often used as a preservative. The skin of a medium sized potato will give you 45% of the daily recommended dose. Nowadays it is doubted that taking extra Vitamin C does much good, despite the popular belief that it fends off colds and flu. A review of 30 different studies in 2007 concluded that the benefits of taking Vitamin C supplements for such illnesses were not worth the expense. So – is there anything in the superfruit claims? The most interesting is around the polyphenols and bioflavonoids which are indeed present in large amounts in the superfruits. These are all forms of antioxidants, as is Vitamin C. They can stop other chemicals in the body oxidating, which is a process akin to metal rusting. Oxidation produces harmful agents called free radicals. These are blamed for a host of problems, from the formation of cancers to the break-down of body organs in what we call the ageing process. Half of all Americans are now said to take antioxidant supplements. But, though millions have been spent over two decades researching antioxidants, the science is still far from convincing. The cancer experiments have shown positive results, but only in laboratory animals. The most impressive study of berries and disease – carried out by Harvard University on 93,000 women over 18 years – did find that those who ate three portions of strawberries and blueberries a week had 34% less chance of having a heart attack than those who had one a month. The researchers speculated that antioxidants in the berries might play a role – but so might lifestyle factors. It’s a fair guess that women who rarely eat fruit are also less likely to take exercise. One of Britain’s most eminent toxicologists, Professor David Colquhoun of University College, London, says that in the case of the antioxidant beta-carotene and vitamin E supplements taken by ageing people, studies have shown that the likelihood of their dying tended to go up, not down, though the reason is not clear. A big “study of studies” in 2012 concluded that there was not enough evidence to support people taking antioxidant supplements. Professor Colquhoun told me he has never read any science on nutrition that persuaded him to alter his already healthy diet. His stark verdict is: “Antioxidants are useless, some are dangerous.” Government regulators agree that their beneficial effects have not been proved: in Europe and United States the food safety agencies have moved to try and limit the claims that manufacturers attach to them – though with little effect, as any visit to a health foods website will show. Shops are now more careful – Holland & Barrett, the UK’s biggest health chain, stocks 114 different products boasting antioxidants. But the store only says that products “may help” rather than claiming specific benefits. The best effects of “superfruits” may take place a long way from the bodies of the people who buy them. The fashion for goldenberries, a high potassium, high fibre fruit now selling strongly in Marks & Spencer, Whole Foods and Holland & Barrett, is bringing employment to impoverished small farmers in the Andes. Labour-intensive, the work provides a reliable income to increasing numbers in Ecuador and Columbia. The drying factories have a policy of employing women, like single mothers, with no other means of support. In much of the region growing coca for cocaine is the only other valuable crop. Acai is the antioxidant-heavy Amazonian berry that is now one of the top five superfruits in worldwide sales. It grows in the obscure Brazilian state of Para, deep in the Amazon. Trade in Acai has created thousands of jobs there since this fruit of a common palm was “discovered” by the health supplement trade in the 2000s. But though the locals have always eaten the fruit, there is no record of Parans having unusually low levels of cancer, heart disease or Alzheimer’s. Claims: Twice the antioxidants found in blueberries, as well as omega fatty acids, protein and fibre. Fans include Oprah Winfrey. Claimed to reduce risk of heart disease and, according to health supplement websites,“kills off cancer cells in a lab setting”.. But the cancer cells in that study were in mice. The science: A “lab setting” is not a human body. Extracts of several different fruits have been shown to kill cancer cells in a dish – but that is not proof. Regulators in the States and Europe have asked manufacturers to stop claiming antioxidants can stop cancer. Claims: “Superfruit pomegranate beats cancer” (Daily Express). The Middle Eastern fruit has around 600 seeds and contains almost three times the total antioxidants in green tea and red wine. Staves off complications in kidney patients on dialysis. The science: Broccoli is packed full of antioxidants, too. And while the veg may not be as exotic, it contains gram for gram, twice as much iron, which is important for healthy blood and pregnant mothers. If you eat all the seeds, you will get a lot of fibre which is good for gut health. But it is the same amount as you would from a potato. 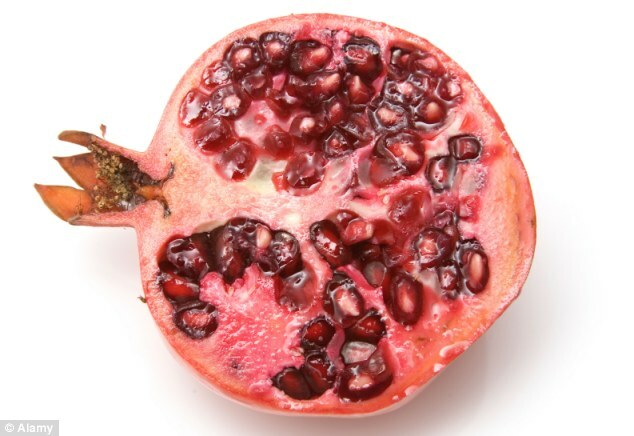 Small trials of pomegranate juice have shown interesting results on heart disease: 45 patients with existing ischaemia (poor blood flow) were given a 240ml dose of pomegranate juice. After three months they were doing better than those who had taken a placebo . One study of pomegranate did show patients on kidney dialysis suffering fewer of the infections they normally suffer – but the National Kidney Association warns that the fruit is also high in potassium, troublesome because damaged kidneys have difficulty processing the chemical. The science: fresh strawberries and blueberries – have been linked to brain health and fewer heart attacks in women who eat them regularly [Harvard study quoted in main text]. The NHS advice on superfruits says there is “very little evidence” that blueberries can protect against cancer. Despite Health magazine’s claim, there is no science linking manganese intake with weight management. The science: supermarket cherry juice, and that sold to kids as one of their “five a day” contains as much sugar as cola, while the health food brand Cherrygood Plus contains nearly twice as much. Increasingly, health scientists say that natural fruit juices that are high in sugar but contain no fruit fibre are potentially damaging. Cherries are too bitter to drink straight, so they are sweetened with concentrated apple or grape juice. This allows companies dodge rules on “no added sugar” or “no artificial sugar” labelling, but there is no chemical difference. No details are given on the amounts of the hormone melatonin, so the claim to have “cured a 4-year-old’s sleep problems”, that Cherrygood makes on its company website is unprovable. Claims: A favourite at Christmas, cranberries aren’t just good at fighting urinary tract infections and boosting chemotherapy, the little berries are brimming with antioxidants and vitamin C.
The science: Cranberries need huge amounts of sugar to make them palatable – one glass of Ocean Spray cranberry juice contains 36g, seven teaspoons, while one popular brand of dried cranberries sold in Holland and Barrett is 75% sugar : more than ice-cream. While the fibre in the berries may do some good, the sugar in dried cranberries – added to boost the drying process – is at unhealthy levels. The long-held belief that cranberry juice may help fight cystitis and UTIs has been disputed – the acid in cranberry and other juices may make symptoms more painful, according to health advice from the US government. 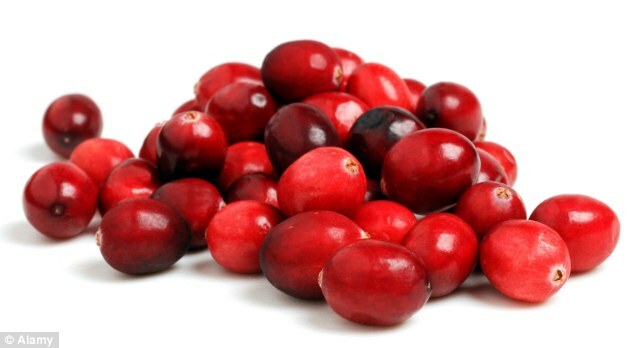 The research on cranberries and ovarian cancer treatment has only shown success in the laboratory. Claim: This year’s new best seller in health food shops, grown by small farmers in the Andes, the goldenberry has high fibre, B vitamins, more iron than spinach, more fibre than prunes and more potassium than three bananas. Science: Good nutritional offering for the price. Unlike most of the dried berries, doesn’t need to use sugar in the drying process to make them edible – has less than a third of the amounts in cranberries. The fibre offering is one of the few undisputed health benefits of superfruits. Fresh goldenberries – also called Cape Gooseberries – are available in UK, but at much higher cost. The claims: Found in China, Mongolia and Tibet, goji berries have been used for 6,000 years by herbalists to protect the liver, help eyesight, improve sexual function and fertility, strengthen the legs, boost immune function, improve circulation and promote longevity. The Daily Telegraph newspaper’s gardening pages offered their notoriously elderly readers cut-price Goji bushes to plant on the grounds that the fruit enabled one Chinese man to live to 250. The science: Goji fruit are very high in antioxidants, but benefits are (see above) disputed. The claims on sexual performance and ageing have no scientific backing. Read my investigation into dubious health breads. This entry was posted in health, Uncategorized and tagged acai, antioxidants, cranberry, fraud, goji, health, health foods, pomegranate, superfruit. Bookmark the permalink. 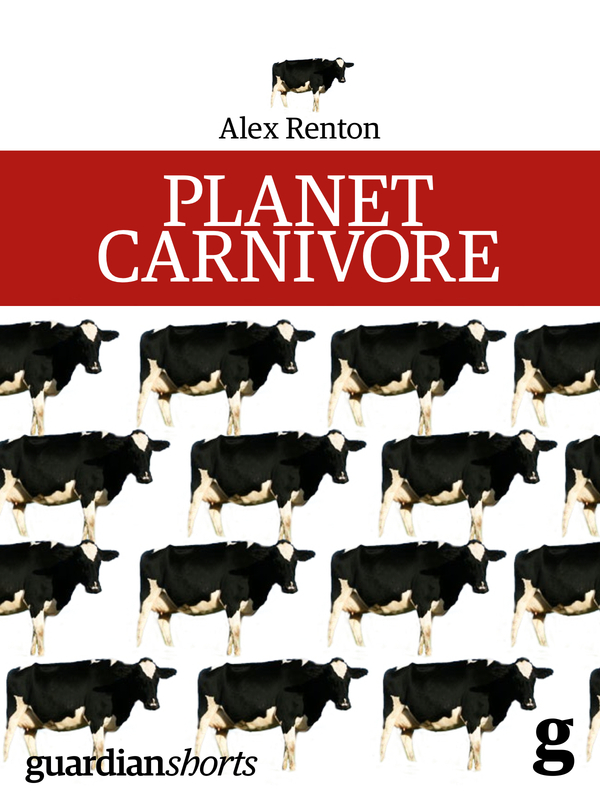 Al – I read with interest as usual. It came at the same time as an ad from Holland and Barrett telling me that I can get Korean Ginseng for only �15 for 200 tablets (marked down from �26 odd) IF I AM QUICK! Offer open for only 48 hrs. Did you know that Dad is not allowed to touch cranberries? Something to do with taking Warfarin, I think, or one of his pills. What a fruitful exercise – they must all hate you. Well done! I do not agree with some of the statements on this article.For example you said “Nowadays it is doubted that taking extra Vitamin C does much good, despite the popular belief that it fends off colds and flu” Well in low amounts it cannot kill the virus.But in large dosages,Vitamin c does in fact actually even kill almost any virus on this planet,including the cold and flu viruses.Unfortunately the research you mention only used small dosages of vitamin c.When you use dosages of 100 grams up to 250 grams you start killing viruses,with no side effects to the patient.And we are not speaking about oral intake of vitamin c here.Please do some more research,there are many articles published on this.Ask dr.Mercola for example,he has been treating patients for 20 years now with Vitamin C etc etc… and there are many more.